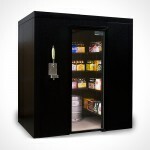 avid beer drinkers would love to have a micro brewery right in their man caves, but most would settle for some home brewing kit which comes standard with a few issues. firstly, the taste of the malt might surprise you; second, it is often flat; and third, you will never get that crisp, cold brew you had at your local watering hole. these are facts, and that’s not to mention that the potential ‘aftermath’ you have to deal with. 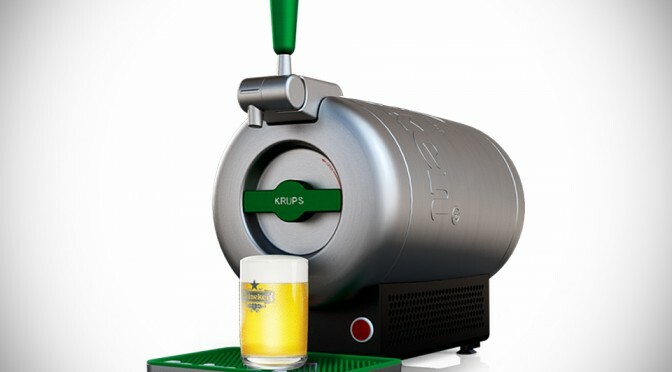 the simple and a more practical way for a true cold lager is with the KRUPS The Sub Heineken Edition. 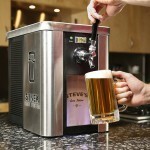 KRUPS, a German name for kitchen appliances, wants you to enjoy a cold one in a much truer and simple fashion with this draft beer contraption designed by renowned industrial designer Marc Newson. to get your fresh, cold one, all you have to do is to pop in a “Torp”, lock it in and you are set to treat yourself and your guests with eight glasses of premium draught beer which will stay fresh in The Sub for up to 15 days. but we are pretty sure that each “Torp” will be done in a day’s time (or two, the most), so 15 days is just a technicality that’s good to know. 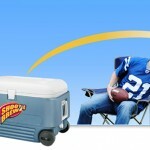 and in case you are wondering, The Sub keeps your draft super chilled at 2-degree, ready to be dispensed at a pull of the tap. as the name implies, the beer is limited to Heineken label, which you can grab off a local store or have it dropped off at your door. 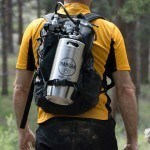 no word no the availability and pricing at this point yet.